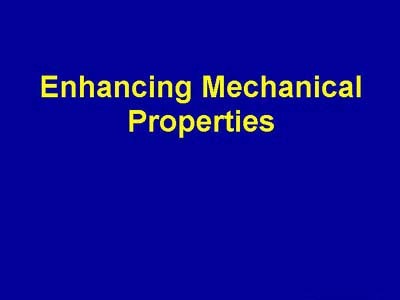 This section of the presentation describes using silica fume to enhance the mechanical properties of concrete. The most significant improvements can be seen in the compressive strength and modulus of elasticity. Initially, designers took advantage of increases in strength and modulus in high-rise structures. More recently, high-strength silica-fume concrete has been used in substructures of high-performance concrete bridges. High-performance concrete for bridges is discussed in a later section of the presentation.